CFA’s offices will be closed this Thursday and Friday. Our whole staff is headed south and little east to catch Orphans Midwest: Materiality and the Moving Image- a gathering of scholars, archivists, film enthusiasts and artists who all share an interest in “orphaned” or neglected films (home movies, outtakes, unreleased films, industrial and educational movies, independent documentaries, newsreels, student works, etc etc). Presented by Indiana University Libraries Film Archive, Indiana University Cinema and NYU Cinema Studies/Tisch School of the Arts, the symposium features enlightening panels and screenings of orphaned rarities, rediscoveries and new productions. In year’s past, we’ve attended and presented at the Orphans Symposium in NYC, but conveniently for us Midwesterners, they moved it a bit closer this time. CFA films and colleagues will also make an appearance this year! On Saturday, September 28, CFA colleague, Andy Uhrich (Indiana University), will present at the Curatorial Challenges: Contextualizing and Recontextualizing Bits and Pieces session. In his presentation, Andy will share and discuss films from CFA’s Film Group and Chuck Olin collections and examine the contested and productive connections between their political documentaries and TV commercials in the late 1960s (you can read more about Andy’s presentation here). AND! later that day, one of our favorite CFA films, CLOSE TO YOU BY THE CARPENTERS (1971) will take part in “An Evening of Music in Orphan Films” - a screening of musical wonders curated by archivist and musician Kelli Hix (Country Music Hall of Fame and Museum). Looking forward to the symposium and catching up with dear colleagues and friends! This past Saturday, I was lucky enough to attend the final day of the 8th Orphans Film Symposium. For those unfamiliar with this NYU biennial symposium, it is a “gathering of scholars, archivists, curators, and media artists devoted to saving, screening, and studying neglected moving images.” These neglected moving images are often referred to as “orphan films,” which encompass films outside the commercial mainstream (i.e. amateur, educational, ethnographic, home movies, medical, newsreels, kinescopes, ect). The collections here at CFA consist almost entirely of “orphan films,” ranging from home movies and amateur film club productions to educational or instructional films within our Chicago Public Library Collection. CFA has even presented at Orphans in years past. At Orphans 7, CFA’s Nancy Watrous and Andy Uhrich (who is also affiliated with NYU and the University of Indiana) premiered “A Pictorial Story of Hiawatha.” Discovered in the Special Collections Library at Valparaiso University, this 35mm nitrate film was shot between 1901-1903 by Charles L. Bowden and Katharine Ertz-Bowden, lecturers and headliners for the Circuit Chautaugua. It captures members of the Garden River Ojibwe (of Desbarats, Ontario, Canada) performing Longfellow’s poem, “The Song of Hiawatha.” To read more about this film and its restoration, click here. In the 1960s, Temple University administrator and social worker Harold Haskins started working with the young members of North Philadelphia’s 12th & Oxford Street gang on a project for community development. A few years later, they became the 12th & Oxford Filmmakers Corporation. In 1967, they made and released The Jungle. It was one of the first films in the US directed by youth detailing the inner workings of their own gang, and in 2009 it was selected for inclusion in the National Film Registry of the Library of Congress. Community filmmaking in its rawest form, with the 12th & Oxford Street gang writing, directing, shooting, and acting as well as creating hand written title cards and an original soundtrack (I’ve had the film’s pounding trash can soundtrack in my head since Saturday afternoon). I will be sure to link to Jay Schwartz’s great slide show presentation with archival photos, newspaper clippings and news reel footage once it becomes available online. MEN AND DUST is an exposé based on the findings of the Tri-State Survey. It depicts the lead and zinc mining communities at the junction of Kansas, Missouri, and Oklahoma, and their problems of survival. In the film we see the fight led by the Mine, Mill and Smelter Workers Union for improved mine owners efforts to eliminate silicosis, lead poisoning, and tuberculosis. As Temple University’s Dan Friedlaender pointed out, the film’s campaign led to legislation for safer conditions and for better wage and hour agreements. The film contains experimental elements (both in image and voiceover) that aid in persuading viewers of the dire situation within the region. It ends with a haunting memorial of those who had died due to the region’s deplorable living conditions. An auroratone produced and created by British filmmaker Cecil Stokes for use in the treatment of mental disorders (most likely aimed at those suffering from PTSD). Robert Martens acquired this super rare film from his grandfather who worked as a film projectionist at various psychiatric institutions in the New York-New Jersey area during the 1940′s. Robert posted the film on Youtube (under the title “Psychedelic Bing Crosby Video”), where it puzzled viewers until it was confirmed as an official auroratone by Crosby aficionados. The film was later restored by Film Technology Co.
A glimpse into the work, or worlds, of Dr. Roman Vishniac – a photographer, biologist and pioneer of photomicroscopy. Vishniac altered light to penetrate moving specimens and colorize their cell structures. University of South Carolina’s Heather Heckman and Mark G. Cooper also presented clips of reversal original film prints, which more accurately reflect the true detail of Vishniac’s colorful research films. Although a bit duller in color (due to reversal printing processes), THE WORLDS OF DR. VISHNIAC provides a valuable narrative of Vishniac and his photomicroscopy research. The film also shows us how Vishniac’s humanist nature and respect for all creatures (even the one-celled ones!) seeps into every aspect of his work. In this case, we see him returning his specimens to their respective ecosystems after successfully photographing their varied formations. What a sweetheart! An excerpt of the film can be seen here (via the U of South Carolina MIRC). Lady motorcycle stunts from China! Produced by the Central Newsreel and Documentary Film Studio in China, Jie Shen captures the Bayi Women Light Motorcycle team performing complicated maneuvers on their bikes. View the entire film here (via the U of South Carolina MIRC). According to Rachael Stoeltje and Martha Harsanyi, this film about a well trained woodchuck was at one point in time the most rented film in their collections. 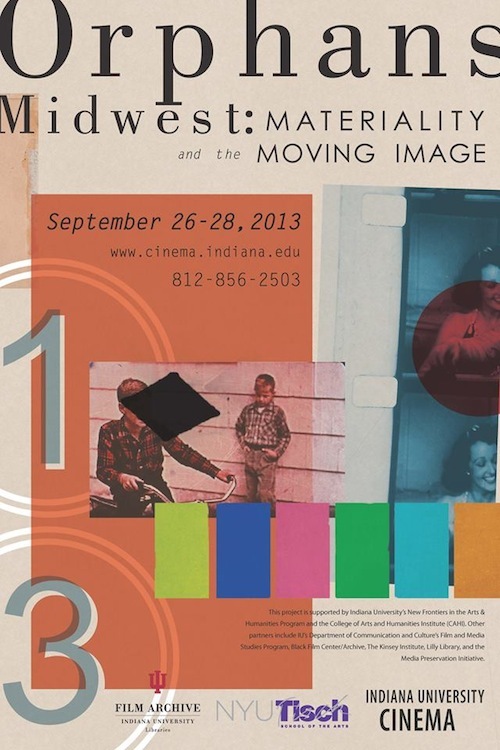 You can view the entire film here (via Indiana University’s Libraries Film Archive). Beware of woodchuck costumes! and why does that man leave his wife (the woman who “does not know how to care for a woodchuck”) behind at the park?! Other Saturday highlights of the symposium include University of Oregon’s Michael Aronson and Elizabeth Peterson presentation of Lester Beck (psychologist, educational filmmaker and lover of small rodents – his film HUMAN GROWTH can be viewed here), Moscow Research Institute of Film Art’s Sergei Kapterev presentation of “The Flight to Thousands of Suns” (Aleksei Yerin, 1963), Manthia Diawara (NYU) and Louis Massiah (Swarthmore College; Scribe Video Center) on finding The Burial of Dr. Du Bois (1963, Ghanafilm), and Dartmouth’s Mark J. Williams reminding us how unedited local news reel footage can inform us of both our collective as well as regional histories.